NASA’s associate administrator for science, John Grunsfeld, has announced NASA’s forward path for robotic exploration of Mars, including the confirmation of a new Rover, to be launched in 2020. With human exploration still 20+ years away, the interim program of robotic pathfinders will aim to build on the successes already achieved by Curiosity. The Red Planet is the ultimate goal for human exploration. However, the public will have to wait until the 2030s for NASA to be in a position to fulfil the promise of what remains a largely undefined Beyond Earth Orbit (BEO) roadmap. While commercial space – namely Elon Musk and SpaceX – are claiming ambitions to advance that date into the 2020s, the challenges of keeping a human crew alive and well during such expeditions is a massive burden not just on the finances required, but also the technology. Robotic missions are less demanding, albeit still feats of engineering brilliance, with NASA’s success standing them out as a world leader in Martian exploration. The Russian Space Agency – for example – has suffered a row of failures in their robotic attempts to land on Mars or its moons. 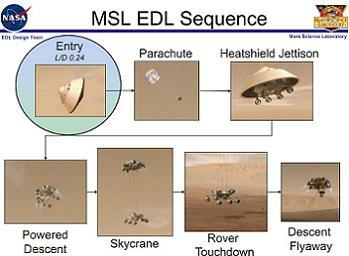 With the double success of the Mars Exploration Rovers (MER), Opportunity and Spirit, NASA’s latest achievement upped the stakes like never before – not least the Entry, Descent and Landing (EDL) element of safely landing the one ton Mars Science Laboratory (MSL) on the surface of Mars, utilizing the amazing SkyCrane method. And it’ll be a sister rover of Curiosity that will highlight the next eight years of robotic Martian exploration, after the Agency announced plans for a robust multi-year Mars program, including a new robotic science rover set to launch in 2020 – all focused on laying the path for human expeditions. “With this next mission, we’re ensuring America remains the world leader in the exploration of the Red Planet, while taking another significant step toward sending humans there in the 2030s,” noted NASA Administrator Charles Bolden. The planned portfolio includes support for the current roster of Martian spacecraft, namely the Curiosity and Opportunity rovers; two NASA spacecraft and contributions to one European spacecraft currently orbiting Mars. 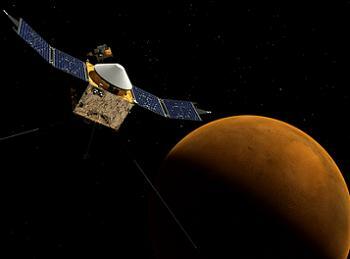 Next up is the 2013 launch of the Mars Atmosphere and Volatile EvolutioN (MAVEN) orbiter to study the Martian upper atmosphere; the Interior Exploration using Seismic Investigations, Geodesy and Heat Transport (InSight) mission, which will take the first look into the deep interior of Mars. NASA also made a rather loose claim that they will also be involved with ESA’s 2016 and 2018 ExoMars missions – providing “Electra” telecommunication radios to ESA’s 2016 mission and a critical element of the premier astrobiology instrument on the 2018 ExoMars rover – although the Agency withdrew from full participation in the project this year, resulting in Europe’s mission to be mainly partnered with the Russians. However, 2016 will mark another NASA mission to Mars, via the launch of the Interior Exploration using Seismic Investigations, Geodesy and Heat Transport – or InSight – mission. With the new plan to design and build a new Mars robotic science rover with a launch in 2020, a total of seven NASA missions – operating or being planned – are now officially on NASA’s books. 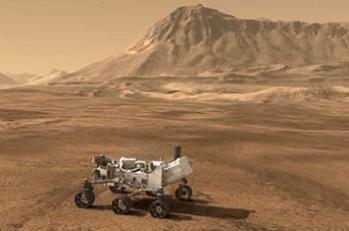 A lot of the specifics relating to the new rover are yet to be decided, although NASA plan the future rover development and design to be based on the Mars Science Laboratory (MSL) architecture that successfully carried the Curiosity rover to the Martian surface this summer, a process that should result in saving costs and lowering associated mission risks. The NASA announcement also noted the specific payload and science instruments for the 2020 mission will be openly competed, following the Science Mission Directorate’s established processes for instrument selection. This process will begin with the establishment of a science definition team that will be tasked to outline the scientific objectives for the mission. The announcement also added the mission fits within the five-year budget plan in the president’s Fiscal Year 2013 budget request, and is contingent on future appropriations, and will also include opportunities for infusing new capabilities developed through investments by NASA’s Space Technology Program, Human Exploration and Operations Mission Directorate, and contributions from international partners. The mission will advance the science priorities of the National Research Council’s 2011 Planetary Science Decadal Survey and responds to the findings of the Mars Program Planning Group (MPPG) established earlier this year to assist NASA in restructuring its Mars Exploration Program, with the MPPG noting several notional ideas, including the potential for a Mars Sample Return effort in the mid 2020s. “The challenge to restructure the Mars Exploration Program has turned from the seven minutes of terror for the Curiosity landing to the start of seven years of innovation,” NASA’s associate administrator for science, added Mr Grunsfeld. (Images via NASA, L2 and JPL).